Looking to buy LED Lightning Bolt Mod and was wanting some input on which one I should buy. 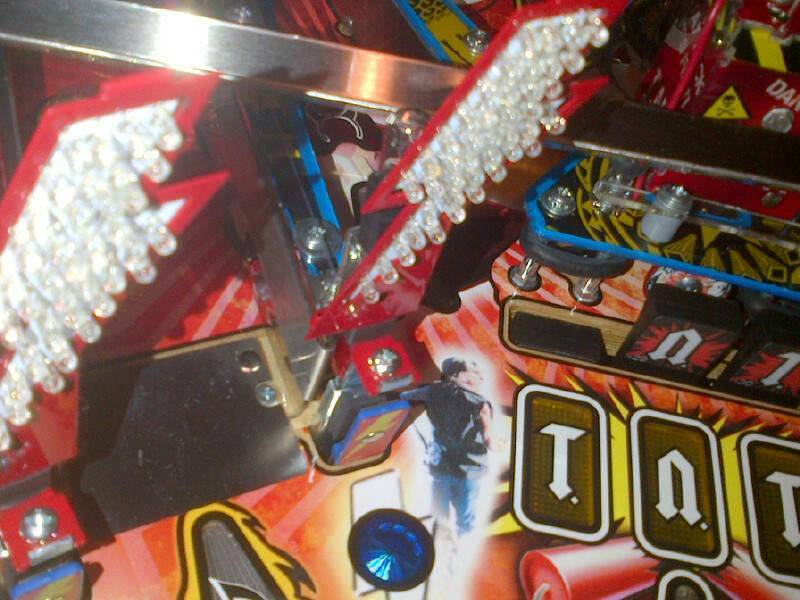 I have only tried the pinbits bolts, they are awesome! Feels like I'm at at live AC/DC concert when they go off. I prefer the Hooked style - they look more natural and indicative of what you would see at a show...warm light instead of cool...and they're offered in LUCI red. It is also the most flexible design as it allows you to either keep/remove your original flashers after installing the custom bolts. Hooked takes care of his customers - AND he is offering a sale on his bolts right now. Check out videos of all three products and compare....but, it's Hooked for me. Avoid the hooked ones. They are terrible. Hooked ones looked the best of my game but the build quality just wasn't there as lights started going out very quickly (less than a weeks worth of play). He was very helpful in replacing defective ones but after my 3rd set I was to nervous to keep them. Went with the pinbits ones and they have been rock solid for over a year now. I still prefer the look of hooked's version but I can't complain about the show the pinbits version puts off. Pinbits. Hands down. Build quality and ease of installation is exceptional. Same here. Love Hooked, I still buy his stuff, but after my third set didn't work, I'm done. Pinbits. Well built and look great. Have the hooked on ones- look really awesome. However, now on my second set as the first set had lower leds fail after about one year. I believe my second set is supposed to be next generation so hopefully these will last. They're a really cool enhancement. I have hooked. Look perfect in the game. He was awesome in resolving issues. I can confirm the problems with the ones from Hooked. He is a great guy and sent me out two replacements when mine started going out is sections. However even those are slowly starting to fail. Like everyone else I prefer the look of these but will probably have to look to pinbits for future replacements. Hey guys ...thought I could chime in here. How about all of those that have issues and are original purchasers contact me. I warranty them for 6 months ...but if you contact me before 9-10-15 I will look up your paypal payments and send a set of 3rd generation replacement bolts pcb set to you free . All i ask is that you email pictures of failed bolt.Everyone loves free and I need some testers. Gen three is bright so you will need to swap all three. This requires drilling out rivet. Replacements are warm white only ...new blue not included. That's awesome. I really hope this next version holds up better as your design fits in with the game design much better. If they show to hold up well I may sell my pinbits ones and re-order yours as I much preferred the look of yours in my game. Seems like they just take such a beating so the soldered in resistors on the lightening bolts were causing the problems. Pinbits uses a board which is why I think theirs isn't having the same challenges. Good form Robert, you are definetly one of the good guys! I've got the Pinbits ones and they are great. Right behind a shaker motor and Color DMD for bang-for-the-buck upgrades. Like I said Hooked is an awesome person to deal with and his bolts really do look the best in the game. Since my two that are going out now have two minor spots that don't light up, I'm ok with that. I don't need perfect and realize that things sometimes happen. When they get really bad down the line, then I will look to the Gen 3 ones. I took out the rivets and removed the stock metal backing. I then cut some thin acrylic (lexan? can't remember) to the same shape as the old metal lightning bolt backing, drilled a small hole a the bottom... and basically fastened the lightning bolt plastic, lexan and 906 socket back together with a small bolt/nut. This allows the 906 bulb to shine through the lightning bolt plastic. The problem I'm running into is that the old metal backing was solid and allowed for no flex. The lexan allows for flex and I had a ball hit the target hard enough that it flexed back and shattered a 906 bulb all over the PF. Any thoughts on how to stiffen the setup and remove the flex, without compromising the transparency?? I thought about using a small bit of glue gun to adhere the 906 bulb to the lexan. I thought perhaps that way any flex would move the entire assembly together and prevent bulb shattering. I have the Hooked bolts and I really like the way they look. The larger bulbs give it that "classic" stage lighting you used to see at concerts. However, I have had several issues with mine. I repaired them a couple of times as best I could, but I am still a novice with soldering SMC resistors. Getting the burned bulbs out wasn't easy either. I just PMd Hooked and he offered to fix them for me if I sent them back. Impressive! That is what I call 'standing behind your product'. I've purchased mods from sellers in the past and got screwed because the mod had issues and I got ignored (and that was only days after receiving the mods). When developing a mod(or most products), you don't always get it 100% right on the first try. It is nice to see mod developers not only standing by their product, but also continuing to improve it as well. I've had this experience with MezelMods and Cliffy protectors. They are great and I don't hesitate to continue buying their products. I just ordered Hooked ones. They look much better. Seeing his post genuinely supporting his bolts tipped me. I can back this up. For as many issues as I've had, Hooked has answered my emails and given me a new set. Every time. I wouldn't hesitate to buy from him. No doubt Robert is top notch. I don't even think twice about buying his mods. I have and love the Hooked set. Never had an issue with them, and chose them because they look amazing when they are OFF, and even better when they are on. Looks like something you would see at an ACDC concert. Just my opinion, but the alternatives look kind of bland and plasticy to me. I can certainly recommend Hooked and his mods. I have purchased his lightening bolt mods as well as numerous other mods and I can say they are first rate. Whenever I have had a problem he has responded immediately and taken care of any issue. When ever I order something from him it lands here in Australia in record time. His lightening bolts are without doubt the best looking ones on the market. As a follow-up, Hooked saw my note and send me the new, improved bolts. All of them worked and had a much better build quality. Hooked definitely stands by his product even years later. Buy with confidence. Just installed my hooked bolts today. My wife walked in while I was playing and asked why the machine was so bright. For her to notice says a lot about them. Just received mine from Hooked. They installed easily and they belong to the theme perfectly! Very satisfied. Don't know why I never upgraded to these sooner. 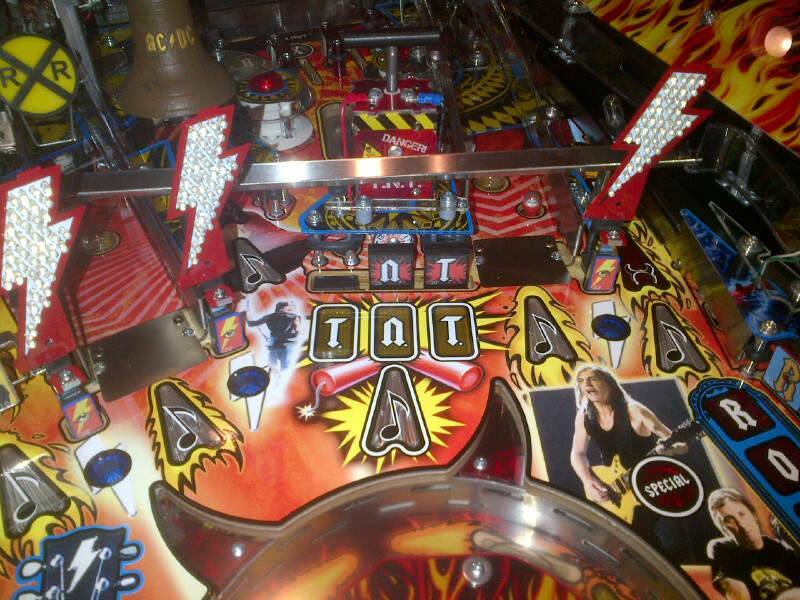 My bolts (early version) from Hooked (bought via pinballdecals) had a few issues. Contacted Hooked after having them for about a year now and he said send them to him for repair. Did it. Got them back in a few days. Installed them.....and.....OMG, the 3rd Gen bolts are OUT-FRICKING-STANDING! Brighter than ever! I prefer these over the pinbits bolts because these have a very nice bezel around them that makes them stand out in the pin when they are not flashing. Polished and professional looking. They don't look like a 3rd party mod...they look like they came installed right from the factory (the way mods should look IMHO). Any seller that makes good on a product after over a year is TOP NOTCH in my books. I would not hesitate to buy a mod from him again. If you are looking for polished, super bright bolts, and excellent customer service, just get them from HOOKED. I received mine from hooked on Pinball and the fit and finish is incredible. They are bright, the lighting is warm and not so blinding that you can't play the game or see. The look as though they belong on the game. Especially on a premium where the red matches right up with the rails. I don't have enough games to speak to longevity, but I'm very happy with mine so far. I have 3rd generation installed for 9 months - no problems at all. damn, watching both videos of each, now I cant decide which ones I want for luci. hooked looks better off, since they are red, but pinbits seems more reliable. 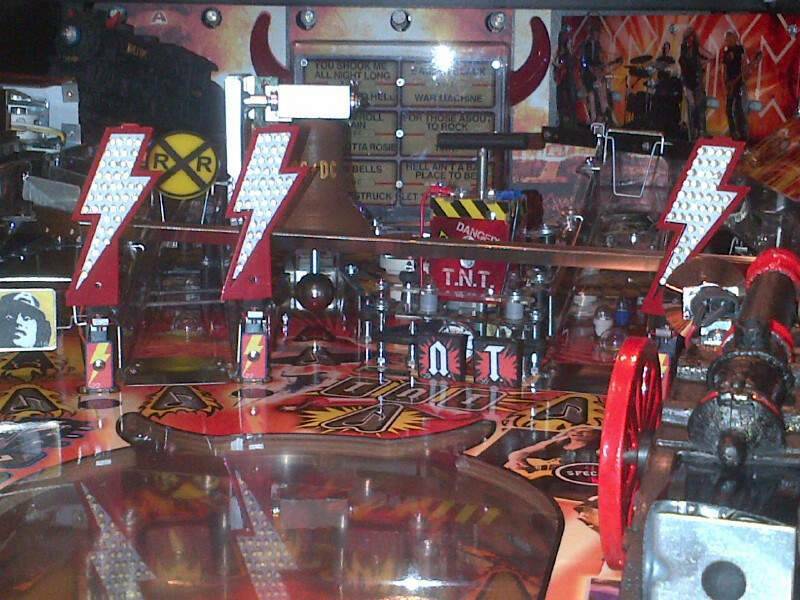 I got Pinbits thunderbolts arriving any day now.. woooo hoooo!!! !